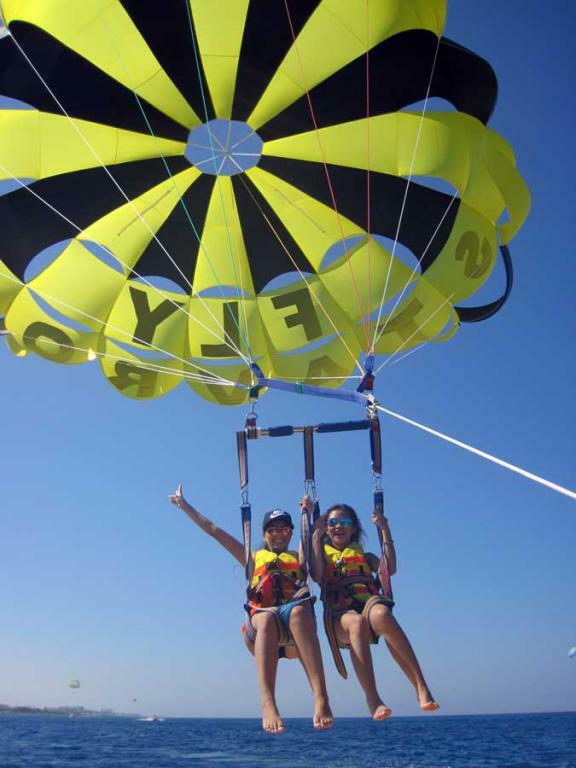 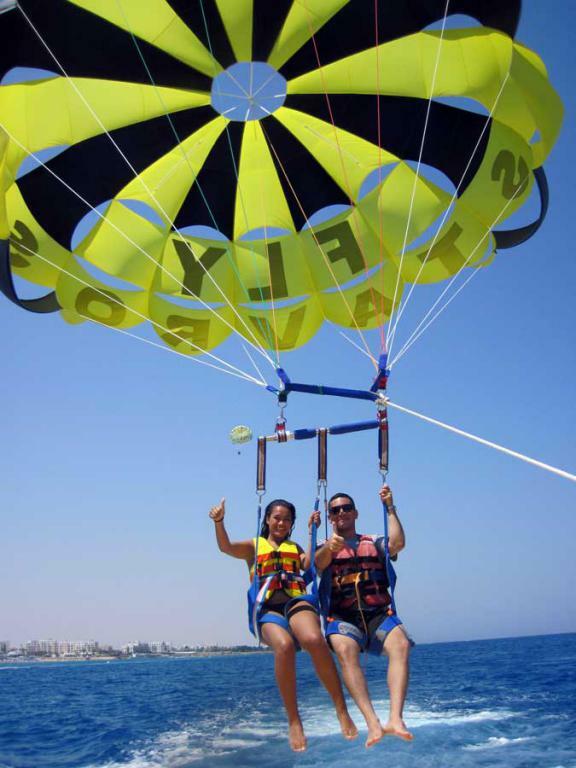 Parasailing as an adventure sport has been around for more than 25 years. 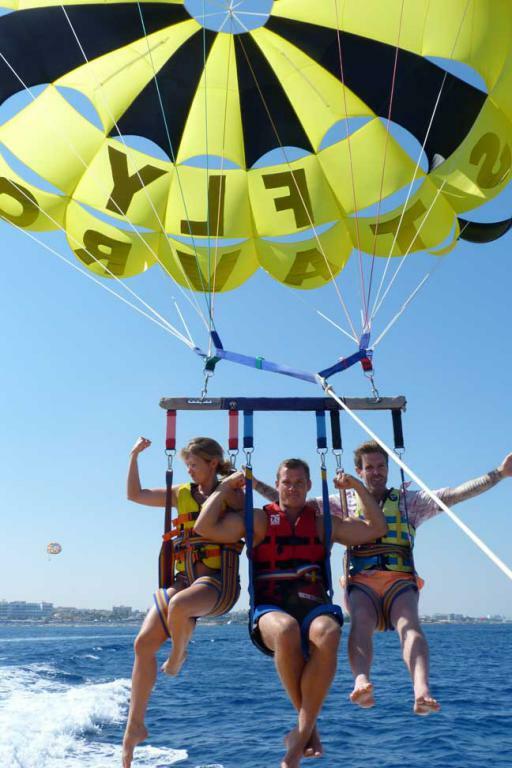 Now more than ever before more and more people are discovering the pleasures of parasailing. 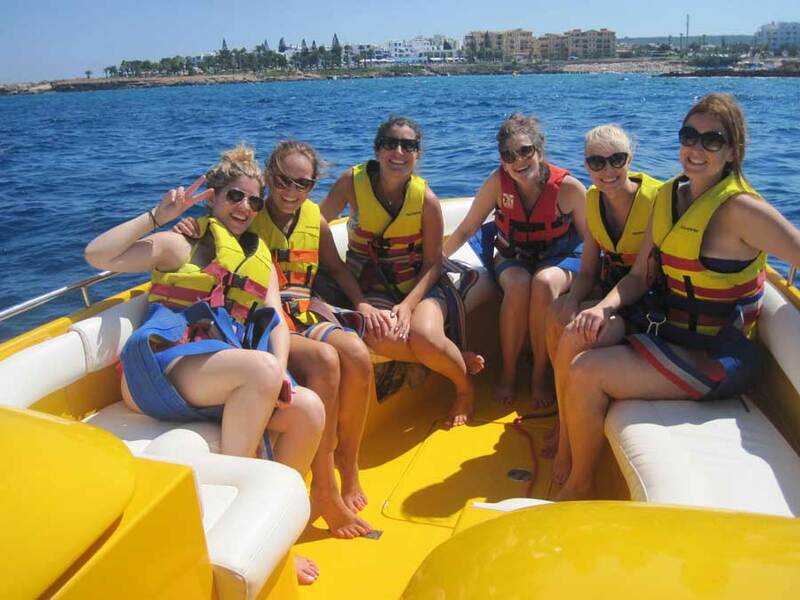 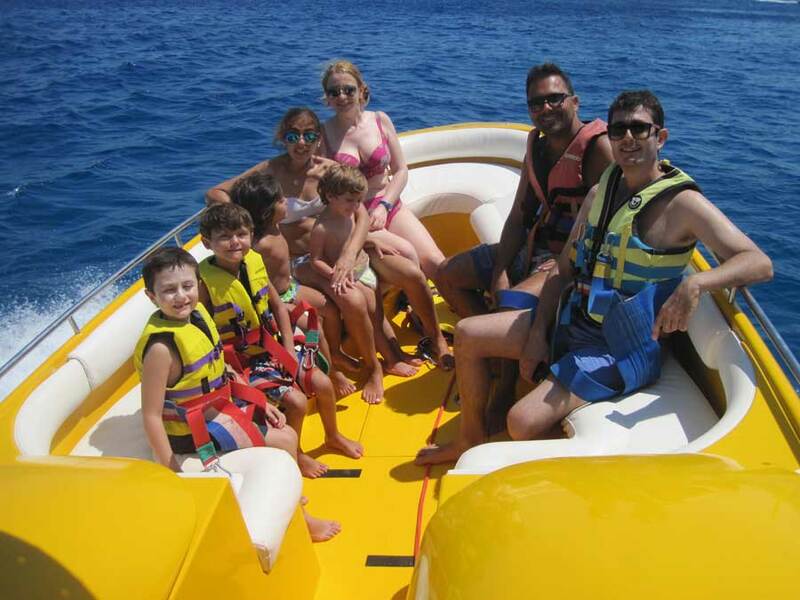 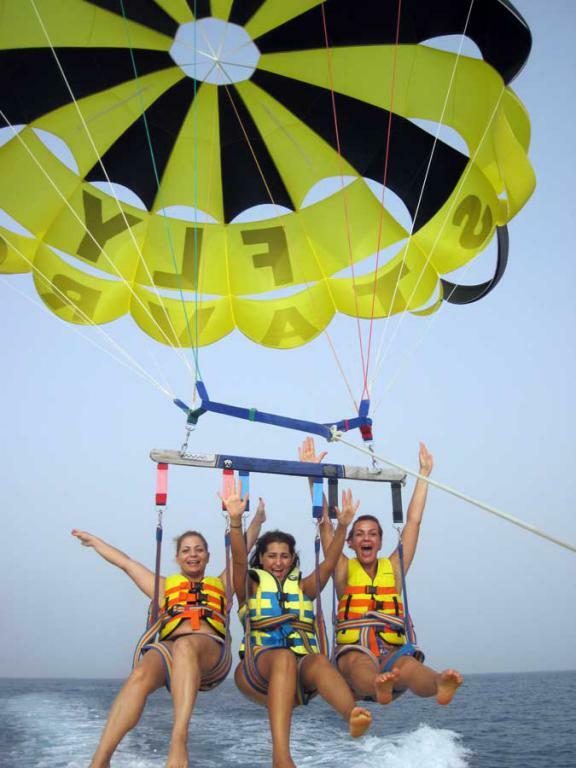 We offer winch boat parasailing which is the most popular, safe and widely accepted method. 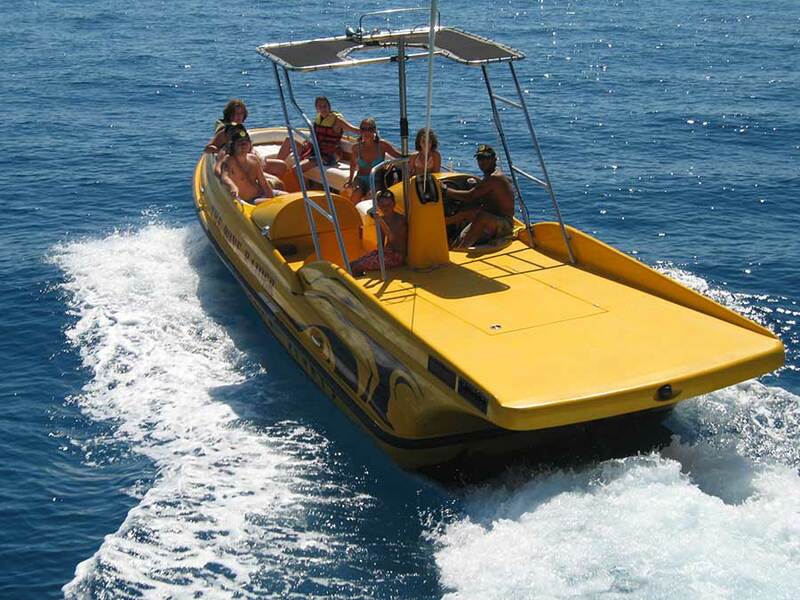 Using a hydraulic winch you are slowly reeled out from the flight deck located on the boat and after an incredible and scenic flight you are then reeled back to the boats flight deck. 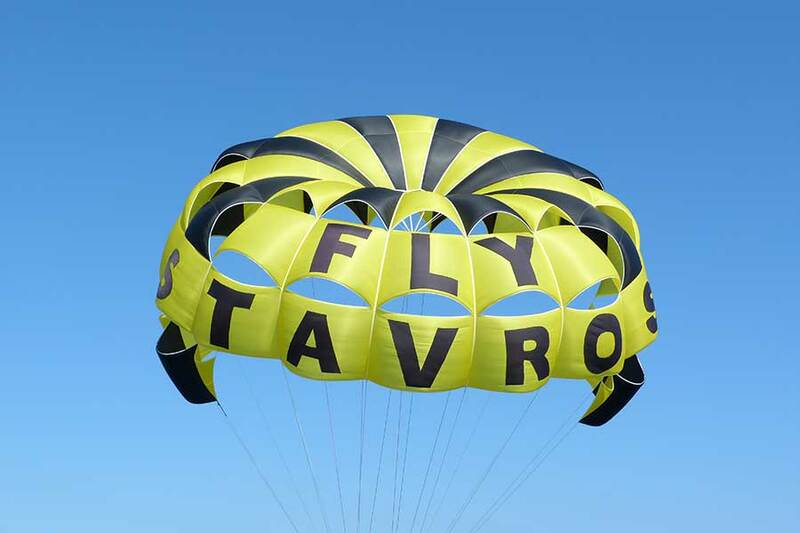 The Wave Raider can carry up to 14 people so you can enjoy a comfortable ride while you watch each other fly. 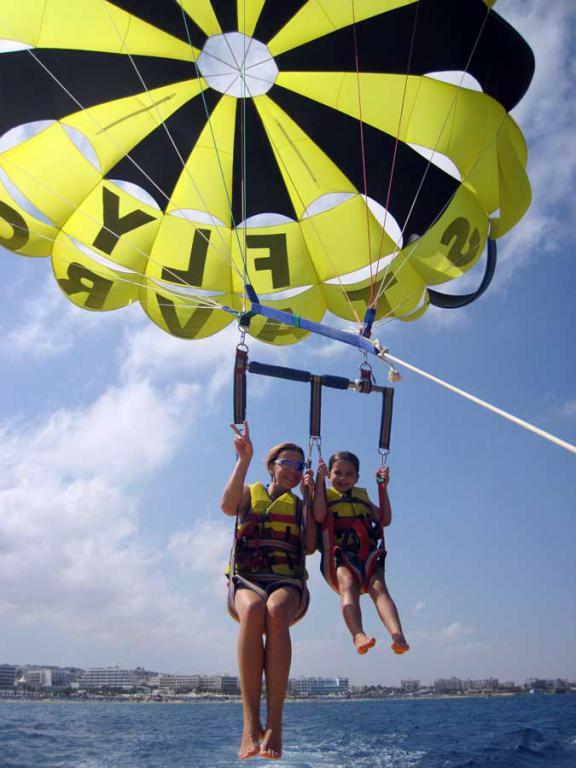 Anyone can fly – No Age limit - We have had as young as 2 year olds to 90 year olds. 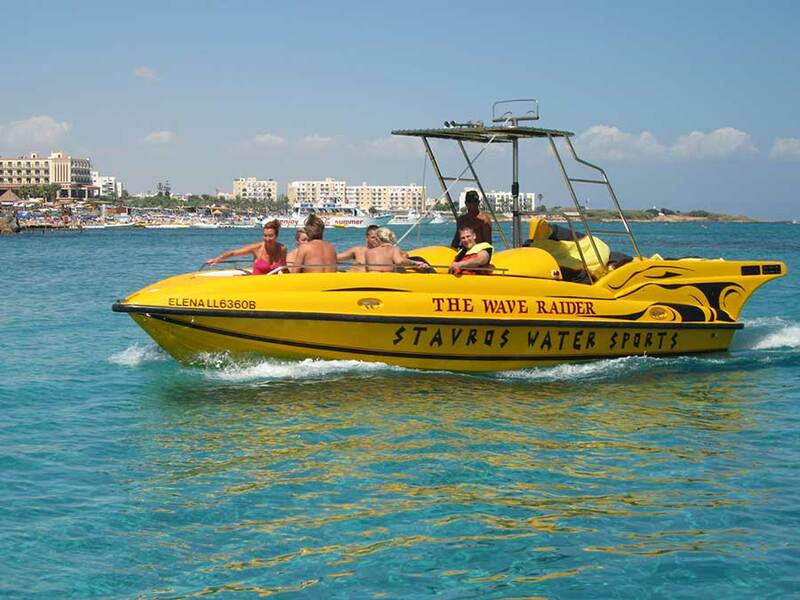 Stavros Watersports is the most experienced operator in the area. 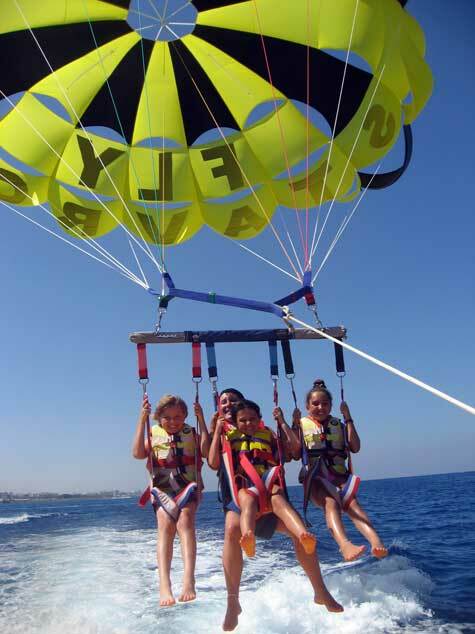 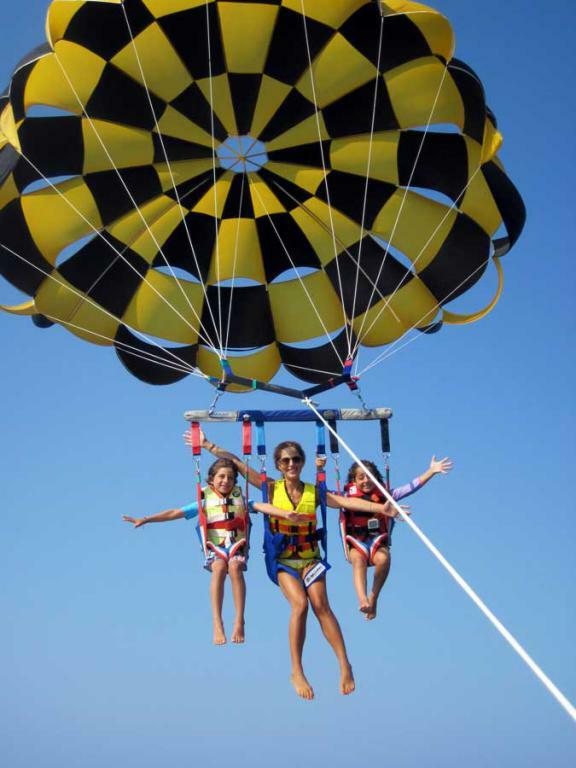 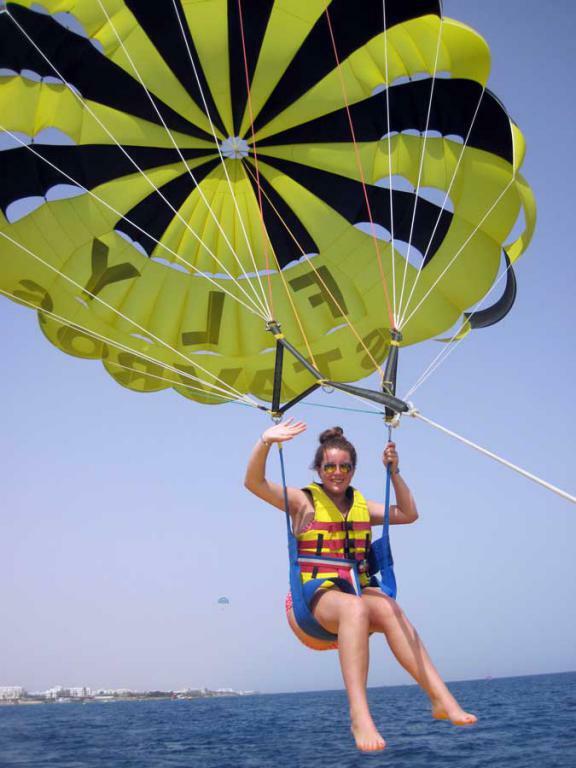 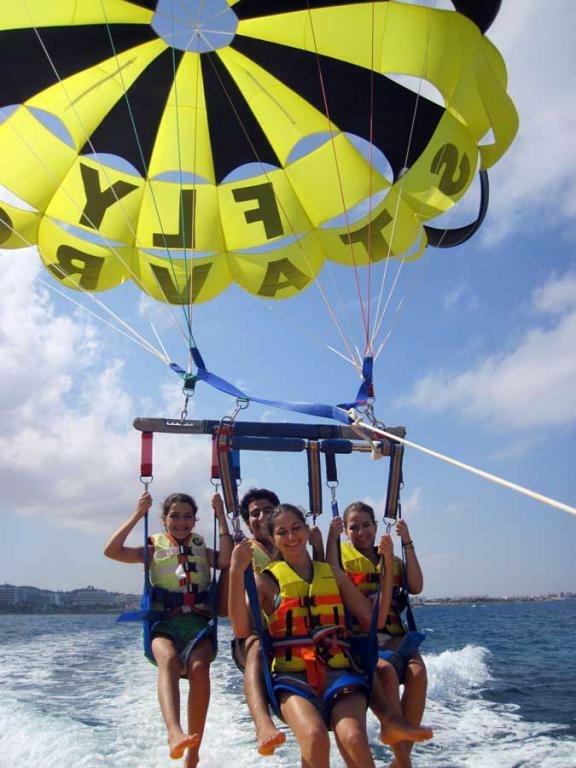 We have been flying people safely for over 30 years and we were the first to bring Parasailing to Cyprus. 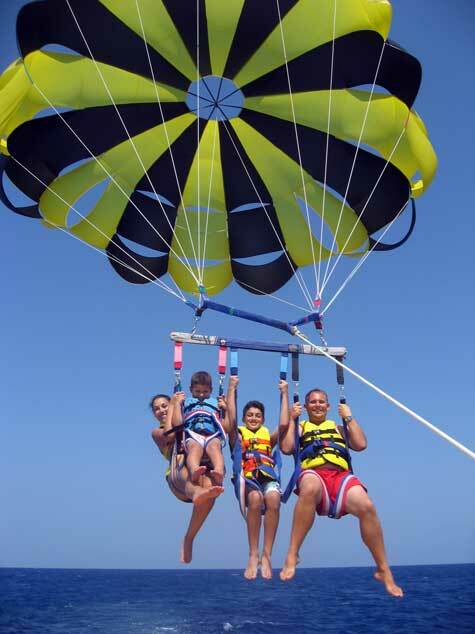 We suggest planning your trip at the beginning of your vacation to allow for rescheduling in case of bad weather. 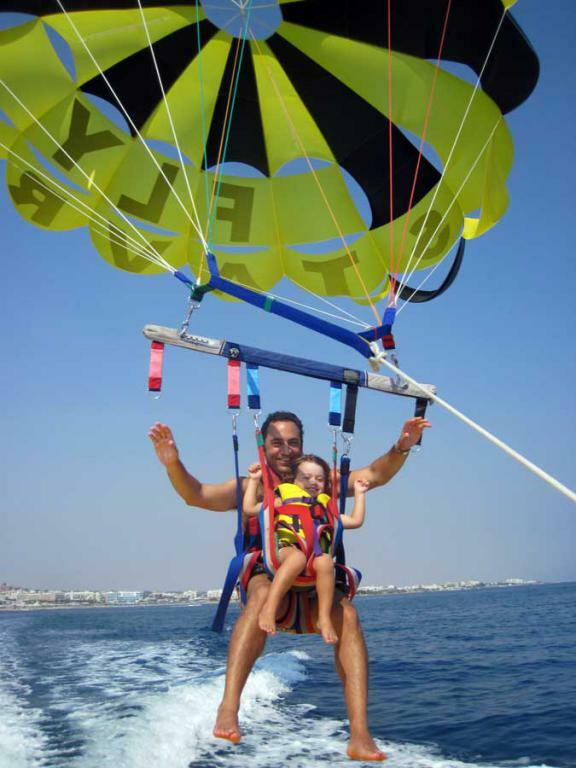 We can’t control the weather and we won’t take a chance on your safety.